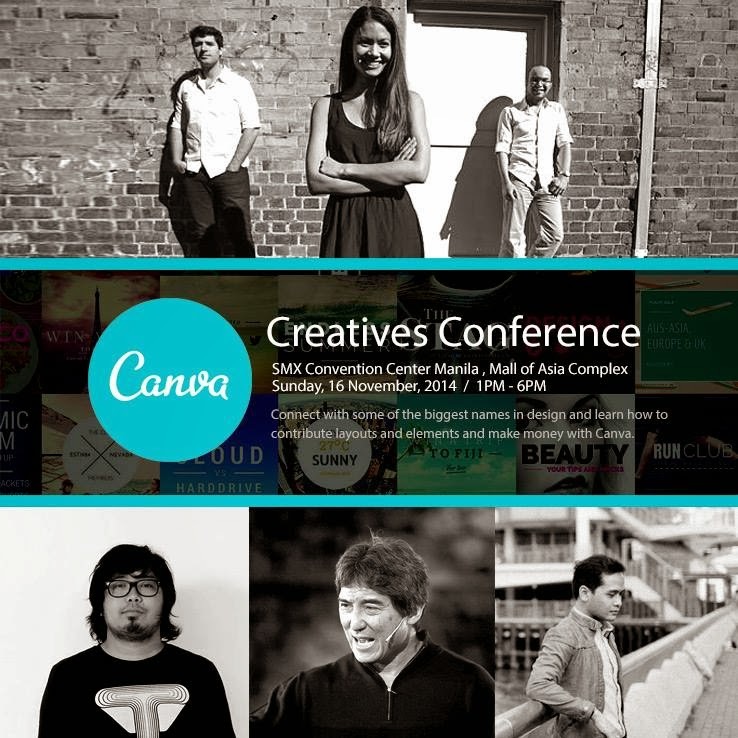 Canva Philippines hold the first Canva Creatives Conference to be held at SMX Convention Center in Pasay City on November 16, 2014 (Sunday) at 1pm to 6pm. The event will also feature talks from Guy Kawasaki (Canva’s Chief Evangelist), Melanie Perkins & Cameron Adams (Canva Founders) and local designers Dan Matutina (Plus 63) and Christian San Jose (Create.ph). Email your complete name, company and position to aram@canva.com for a slot. Limited slots remaining!